Known for his interpretation of Mozart’s operas, Thomas R?sner has enjoyed great success at many opera houses including the Bavarian State Opera in Munich, Semperoper in Dresden, State Opera in Stuttgart, Théatre du Chatelet in Paris, Opéra National de Lyon, Marseilles Opera, Opéra National de Lorraine, Nantes-Angers Opera, Grand Théatre in Geneva, Théatre de la Monnaie, Zurich Opera House, Teatro dell-Opera in Rome, Welsh National Opera, Houston Grand Opera, and the New National Theatre in Tokyo. He is a frequent guest at major festivals including the Glyndebourne, Edinburgh and Bregenz Festivals. From 2005 to 2011 he was Chief Conductor of the Orchestre Symphonique Bienne in Switzerland. He holds currently the position of Artistic Director of the Beethoven Philharmonie in Vienna. A favorite guest of numerous symphony orchestras, Thomas R?sner has been invited to conduct the Wiener Symphoniker, Deutsches Sinfonieorchester Berlin, Salzburg Mozarteum Orchestra, Houston Symphony, Scottish Chamber Orchestra, Orchestre National du Capitole de Toulouse, Philharmonia Prague, Basel Symphony Orchestra, Bergen Philharmonic Orchestra, Polish National Radio Orchestra, Toscanini Filarmonica Parma, among others. Highlights of recent engagements include returns to the National Center for the Performing Arts in Beijing, Opera Festival Quebec, Opera Royal de Wallonie, debuts at Volksoper in Vienna, concerts with the Bournemouth Symphony, Sinfonia Varsovia and the Philharmonic Orchestra Graz as well as CD recordings with the Bamberg Symphony. Thomas R?sner’s extensive discography includes both operas and discovery of unknown symphonic works with labels such as Opus Arte, Musiques Suisses, Guild Music, Gramola and ATMA. His CD “Haydn Arias & Overtures” was the winner of the Juno Award in Toronto in 2012. The 1997 winner of the prestigious BBC Singer of the World Competition in Cardiff, and the first prize winner in Plácido Domingo’s 2001 OPERALIA Competition, Mezzo-soprano Guang Yang has sung with major opera houses through Europe and North America including the Lyric Opera of Chicago, Metropolitan Opera, Houston Grand Opera, San Francisco Opera, Deutsche Oper Berlin, Opera Lyon, the Bregenz Festival in Austria, Welsh National Opera, Canadian Opera Company, collaborating with such distinguished maestros as Zubin Mehta, Sir Andrew Davis, Carlo Rizzi, Chung Myung-whun, Christoph Eschenbach and Plácido Domingo. Her signature roles include Amneris in AIDA, Santuzza in CAVALLERIA RUSTICANA, Eboli in DON CARLO, Adalgisa in NORMA, Azucena in TROVATORE, Fenena in NABUCCO and Ortrud in LOHENGRIN. Recent highlights include the role of Mother Chen in a new English-language opera AN AMERICAN SOLDIER, composed by Huang Ruo and commissioned by the Washington Opera. Ms. Yang is equally at home on the concert stage, appearing as mezzo-soprano soloist in Verdi’s REQUIEM, Beethoven’s SYMPHONY NO. 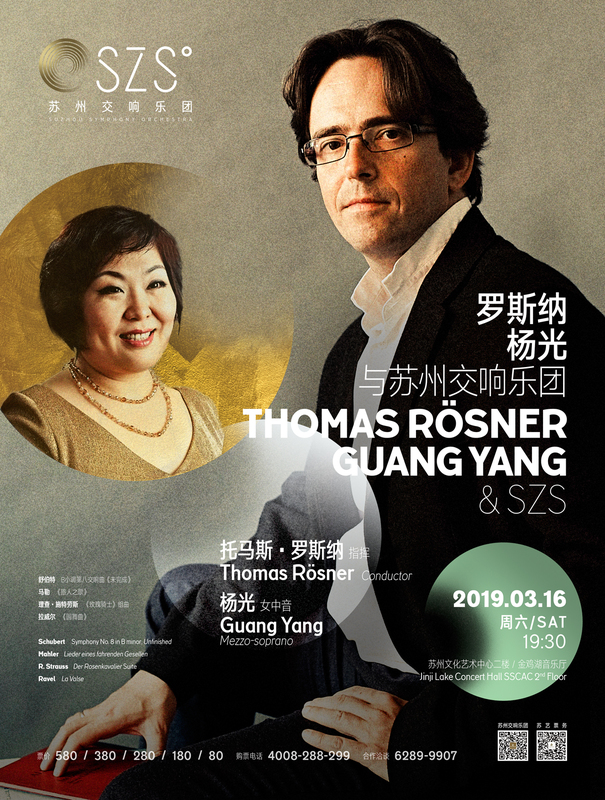 9, guest appearance with the Marilyn Horne Foundation in New York City, and solo recital with the Hong Kong Art Festival and throughout China.